Sachem Skippers, Atalopedes campestris, have started invading my garden in great numbers. Their populations always seem to peak towards the end of summer. Here a female (the grayish slightly larger of the two) is courted by two males (which are more orange-looking). In truth she had about seven males to choose from. One would always be close to her, and bat away other males as they swooped in to be with her. Occasionally one would take place as the guarding male or sometimes two males would tolerate one another on the same flower with her. 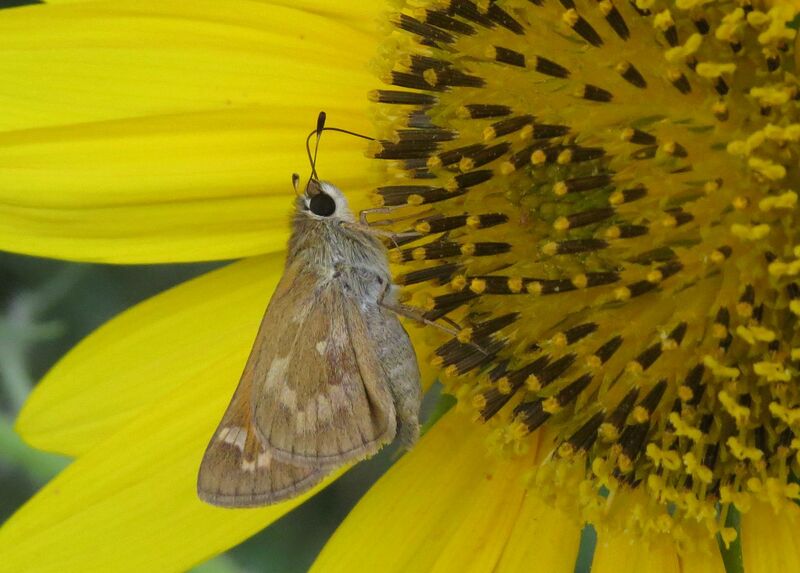 I'm seeing more and more skippers every day and all without growing any of their host plants... intentionally that is. When we look at a list of what they use it seems most of the grasses that comprise my lawn and weedy areas in the garden are what's attracting them. These are all common lawn grasses throughout North America. What's neat is despite how common they are, their caterpillars are very rarely seen. Go to BugGuide.net a second Here, and click on Adults, and then click on Caterpillars. There are 9 full pages of images of adults and yet only two shots of the caterpillars. I believe this suggests the caterpillars feed at night or around dusk, or only stick to host plants that are of high quality. Some day I'll learn to tell my skippers apart. In the meantime, thanks for your insight. 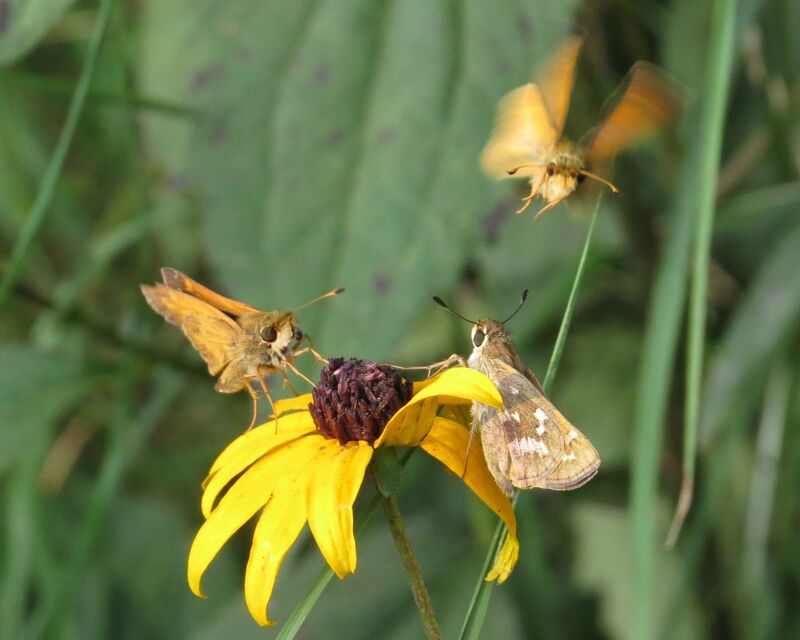 There seems to have been a lot of skippers in our area this year as well.